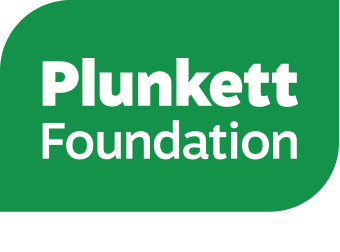 Plunkett Foundation , a national charity supporting rural communities to save and run vital businesses through community ownership, is calling for support for its proposals to help more community businesses  to set up and run within rural places of worship. In recent years, Plunkett Foundation has supported over 600 rural community businesses to set up throughout the UK, from community shops, pubs, woodlands to anything else which is valued by local communities and helps them to tackle issues important to them. Since its foundation in 1919, Plunkett has seen how community businesses play a critical role in reversing economic decline and tackling social issues related to unemployment, exclusion and loneliness. With rural services being under increasing threat of closure, Plunkett is now experiencing high demand for the practical business support which is offers throughout the UK. James Alcock, Executive Director at Plunkett Foundation, said: “Sadly, only 1 in 13 community groups who contact us succeed in opening, with lack of a suitable premises being cited as a key barrier. Our research, published earlier this year, highlighted that there are in fact very few community businesses operating within a place of worship, largely because awareness of the possibility of doing so is very low. This would shine a spotlight on where this model is already working successfully, raise the profile of organisations which can offer support, and ultimately encourage more communities to explore this model as a viable option for establishing a community business in their community. There are many specific challenges to setting up a community business in a place of worship, which is why we believe it is important to work with a range of organisations who have reach into secular and non-secular rural communities, who understand the steps required to gain permissions to trade from places of worship of various denominations, and who can endorse this model to communities who are sceptical or concerned as to its appropriateness. Bespoke business support is key to supporting communities through the various stages of setting up a community business, and specifically overcoming the typical challenges faced when setting up within a place of worship. 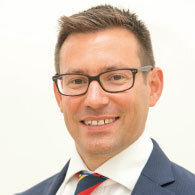 Plunkett has seen how a package of grant and loan finance, even in small proportions, can make a significant difference to the viability of A start-up community business, and if set up in the right way, can both incentivise a community to reach trading stage and give them the confidence to raise match capital from within their local community. Plunkett Foundation (www.plunkett.co.uk) established in 1919, Plunkett Foundation are experts in community business and help communities UK-wide to take control of their challenges and overcome them through co-operation and collaboration. We support people, predominantly in rural areas, to set up and run community businesses: enterprises that are owned and run democratically by large numbers of people in their community. They help people to tackle a range of issues such as isolation, loneliness and poverty, and come in many forms including shops, cafes, pubs and land-based initiatives, and anything in between. We work closely with our members, other organisations in the sector and government to give rural communities a national voice, championing their achievements and highlighting their needs.